On our PL100 Panic Handle Device, the interior panic device housing is a 1-1/4″ diameter tubular L-shaped housing. 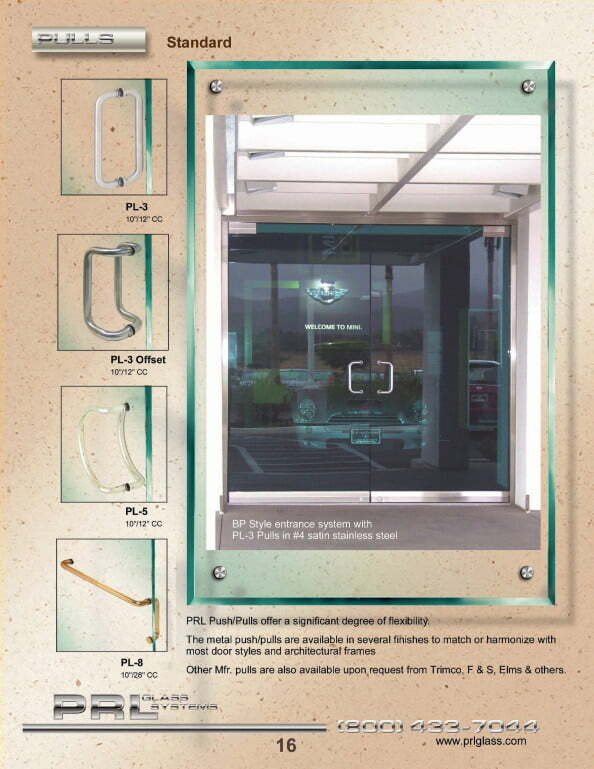 However, the exterior pull handle style has unlimited options. PRL’s most common exterior pull handles for the PL100 Panic Device are the A, D and F Style pulls which are also made of 1-1/4″ diameter tubing to match the panic device hardware on the interior of the door. The A style pull handle is a simple horizontal tubular bar that mirrors the interior horizontal push bar of the panic device handle. 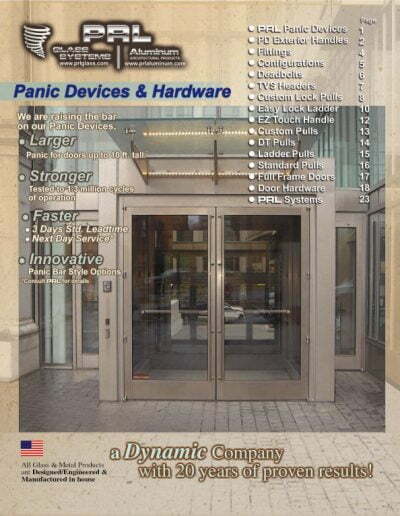 The D style pull handle matches the interior panic device bar exactly so that the panic is the same in appearance from the interior and the exterior of the building. 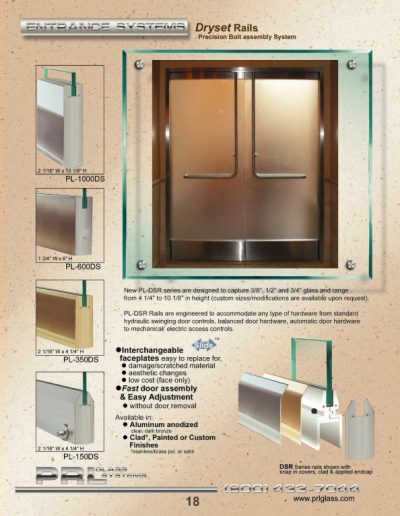 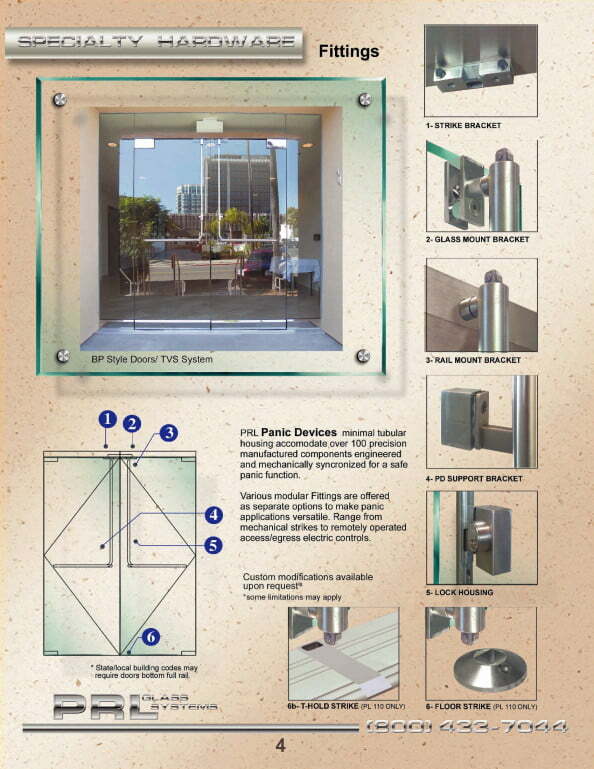 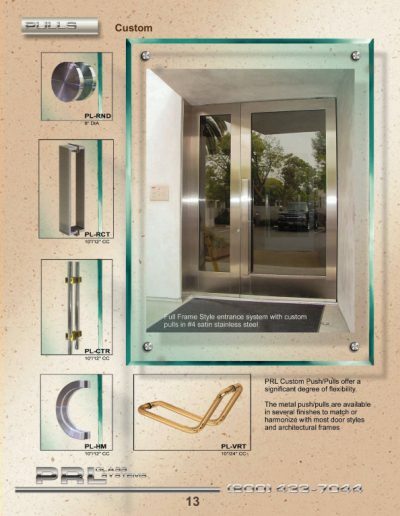 The F style pull handle is a full height tubular bar that runs from the top to the bottom of the door in line with the panic device vertical rod. To comply with Handicap Access codes the full height handle can be held 10″ above the bottom of the door to avoid creating an obstruction for wheel chair access. 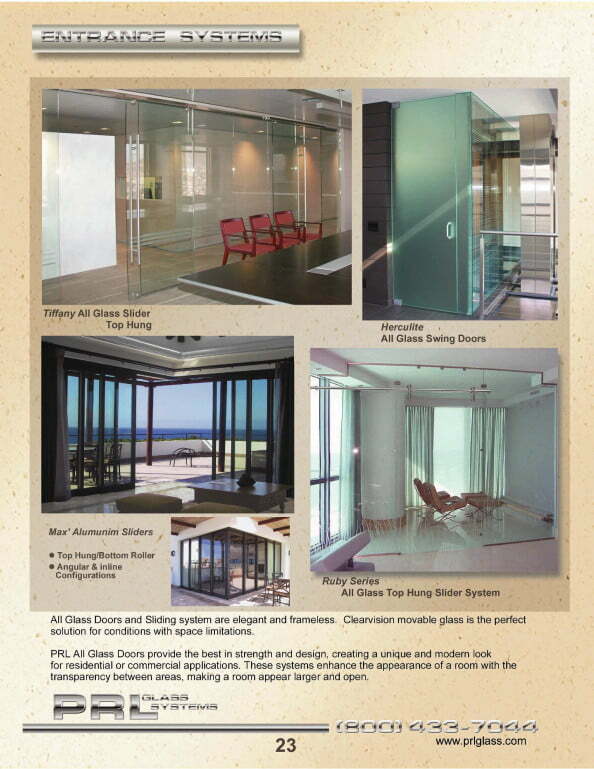 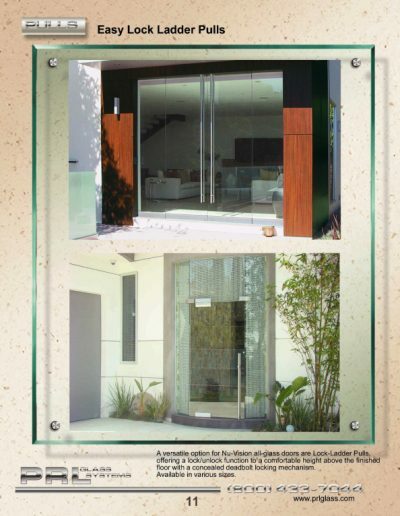 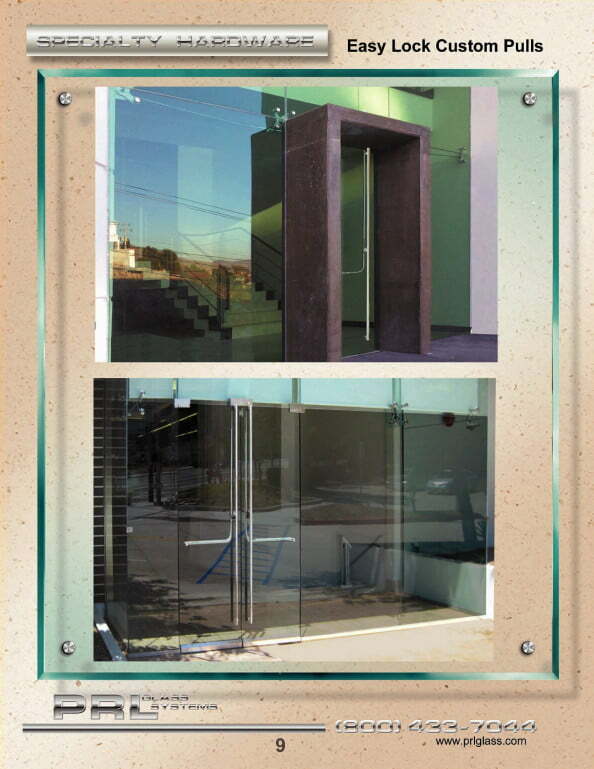 The F style pull not only gives the All Glass Door an elegant appearance, it also functions to add rigidity to the glass door, reducing deflection. 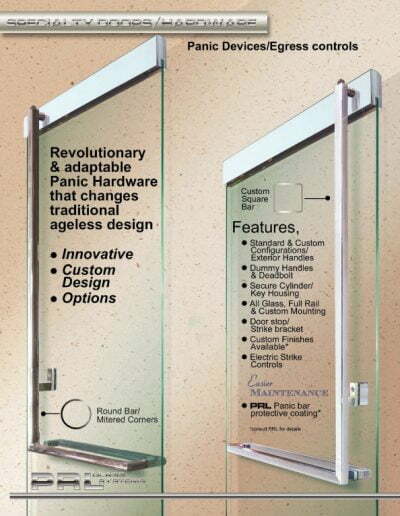 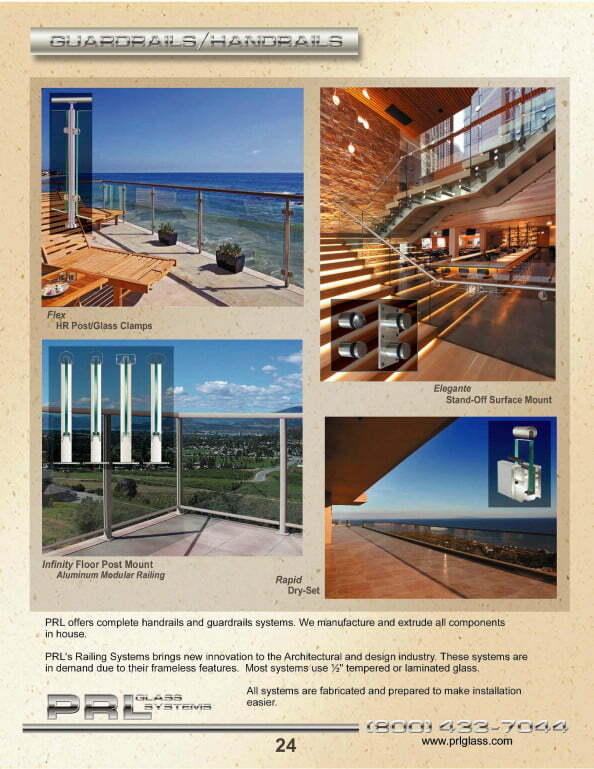 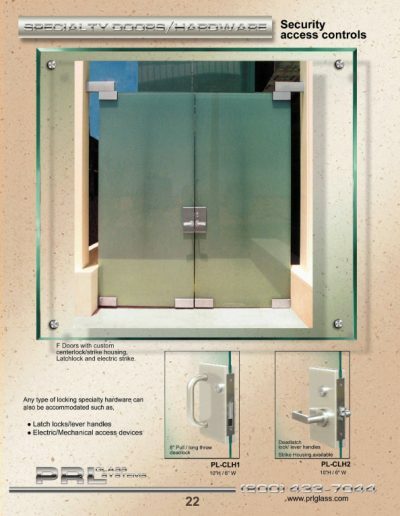 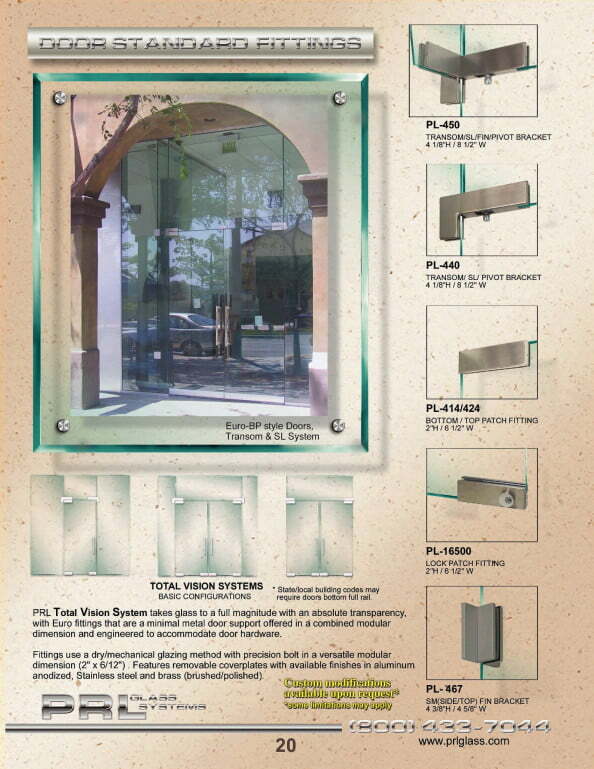 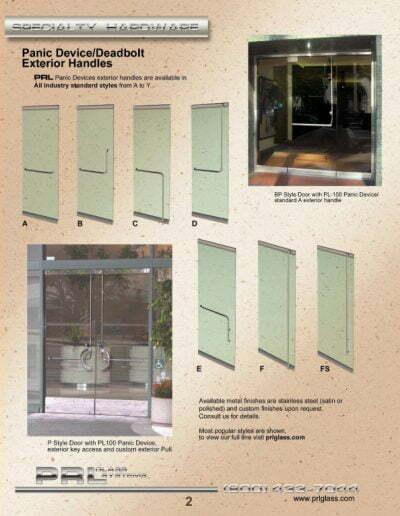 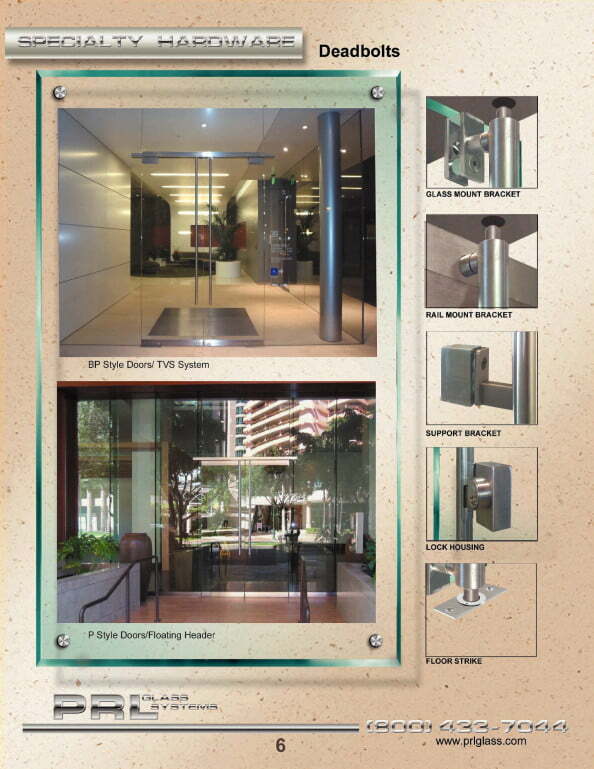 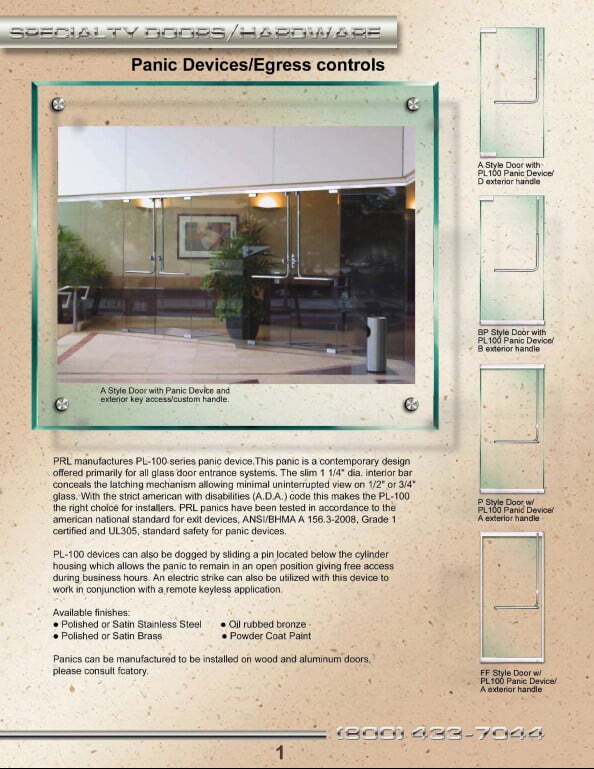 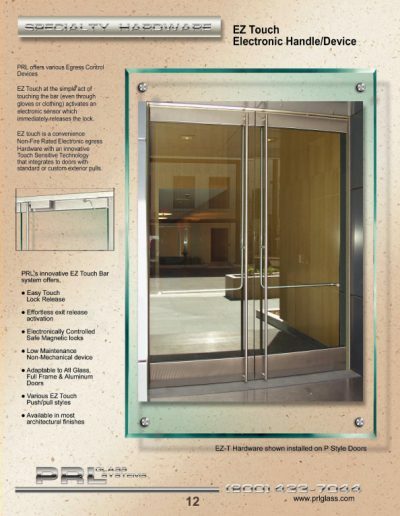 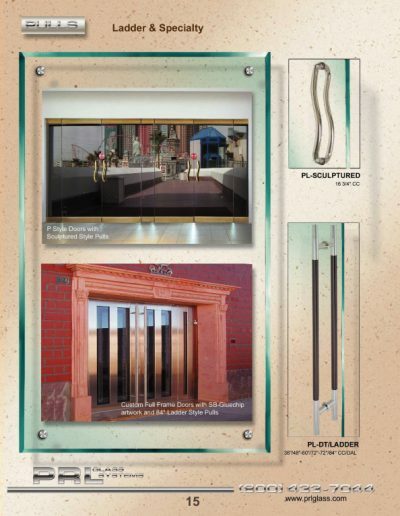 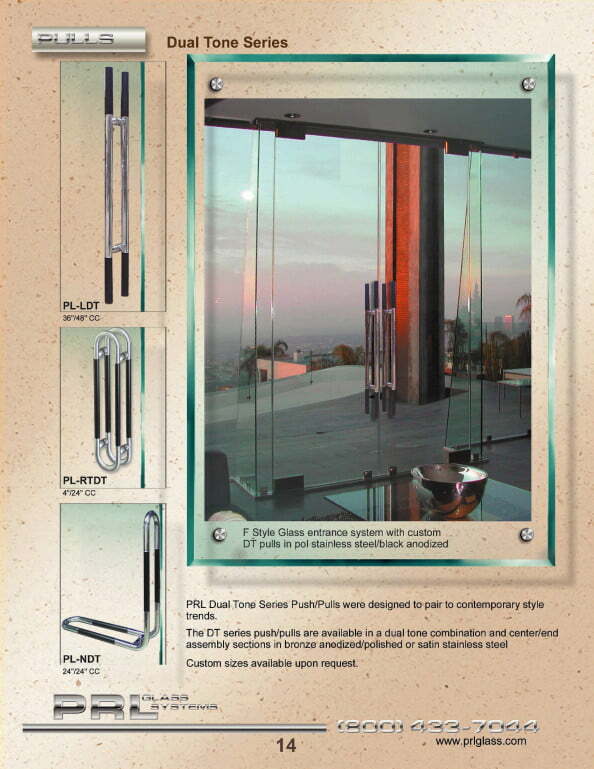 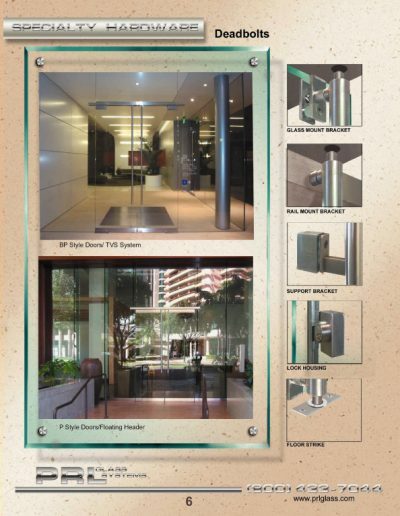 For this reason the F Style exterior pull handle is frequently used on taller glass doors. 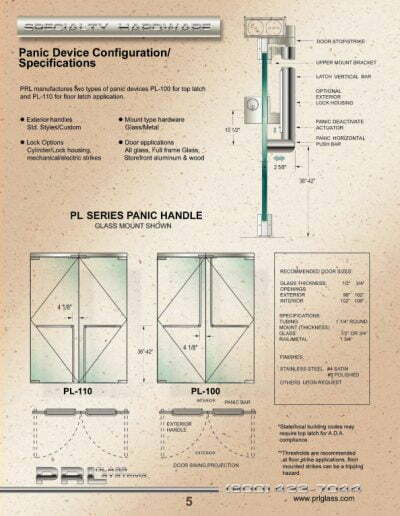 These are three of the most common exterior pull handles for the PL100 Panic Device, but truly the exterior pull options are unlimited. 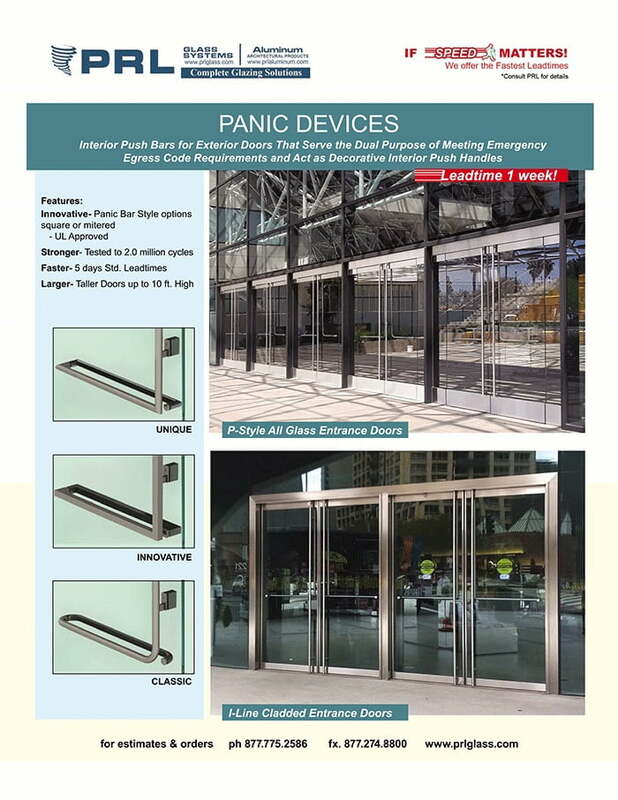 A pull handle is not required in order to lock the panic device hardware from the exterior, thus the exterior pull can be completely independent of the interior panic device. 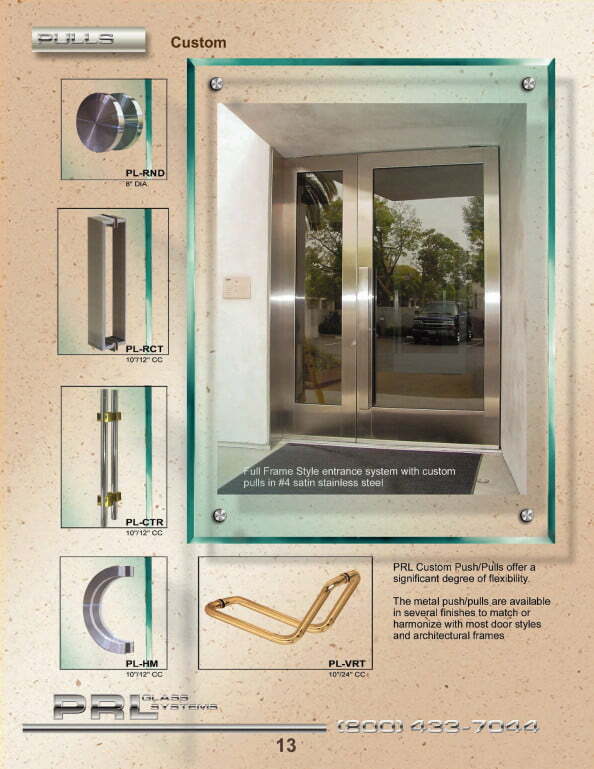 Standard 10″, 12″ or 18″ straight or offset pulls can be used. 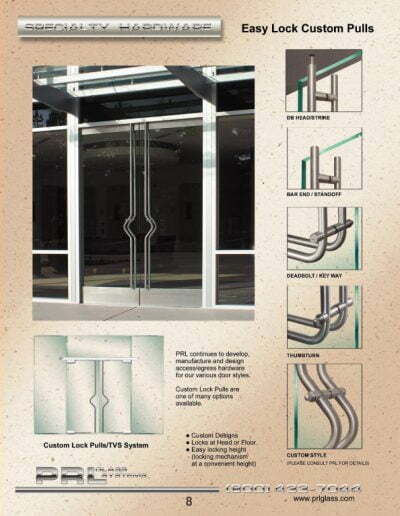 A client’s custom logo pull handle can be adapted to the exterior of the door. 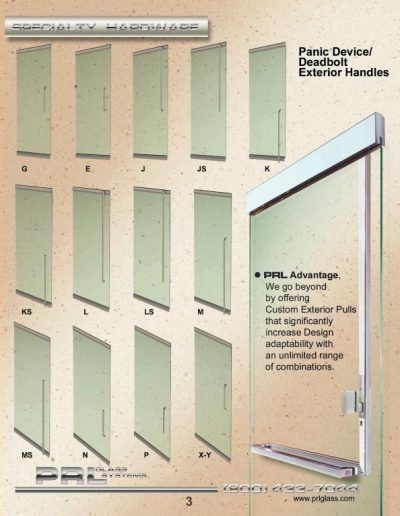 And while many contemporary pull options are available, if the purpose of the door is to be used as an “exit only”, the door can be made without any exterior pull. 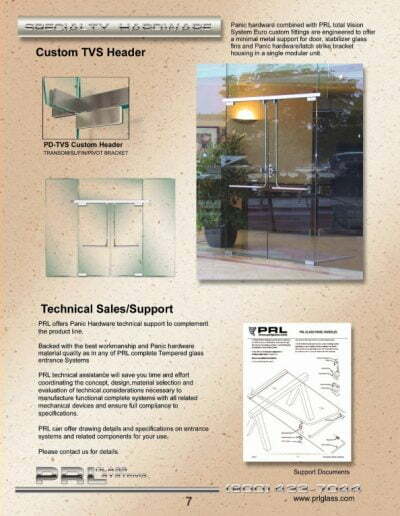 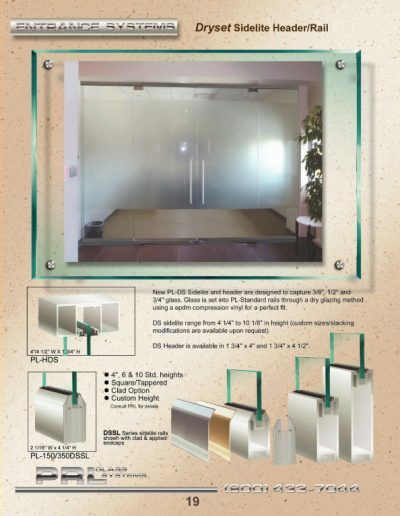 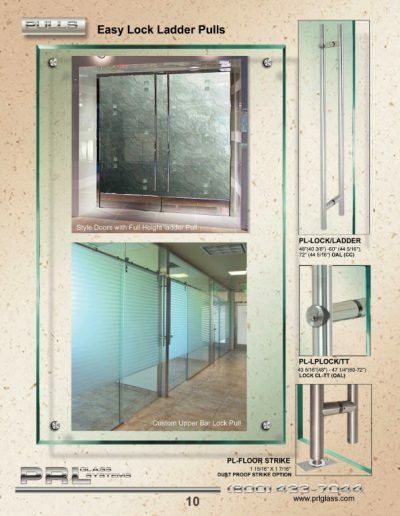 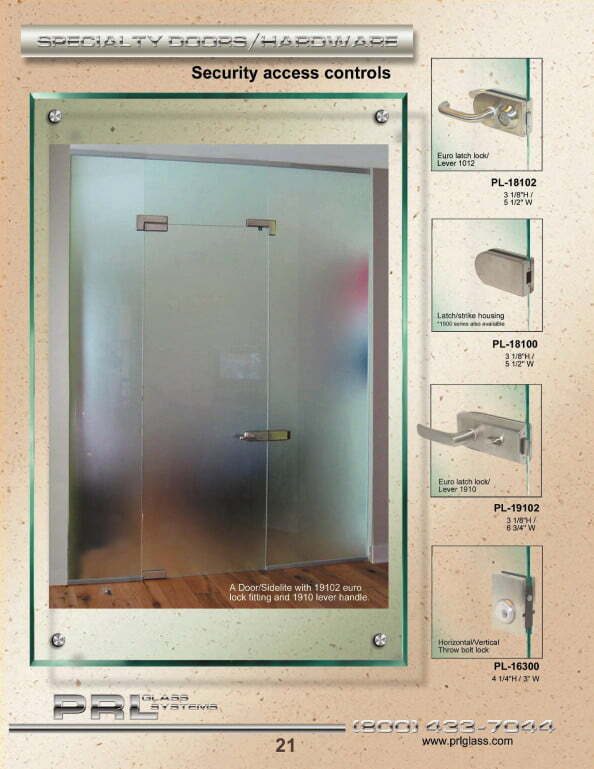 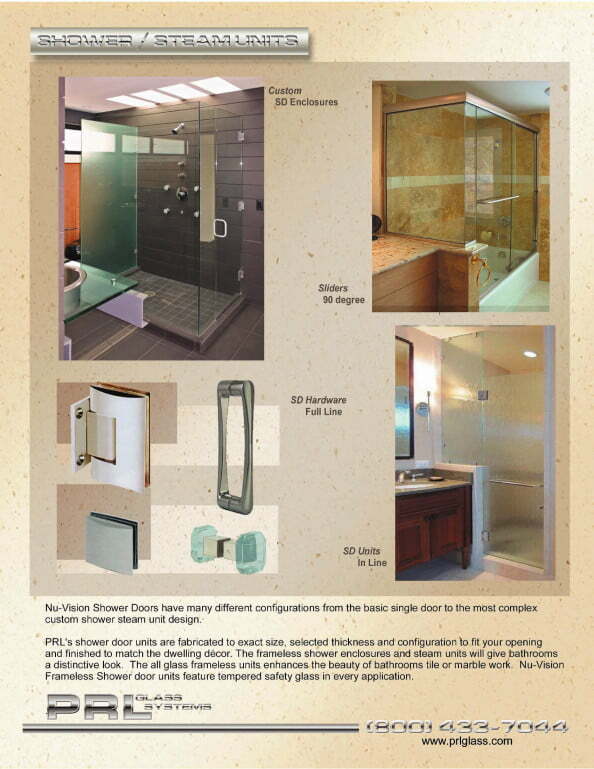 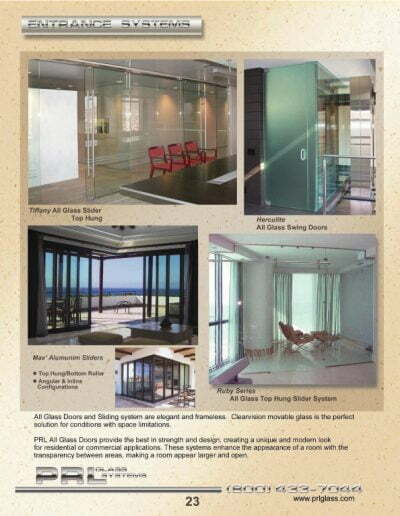 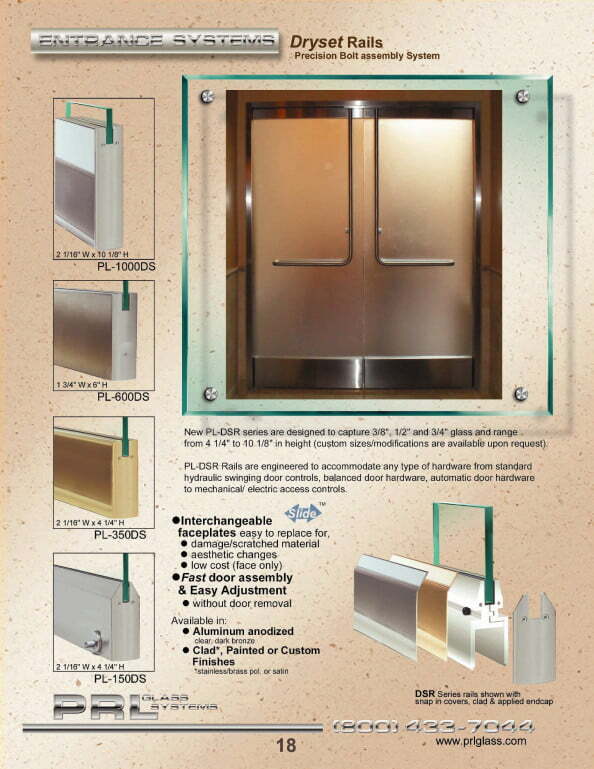 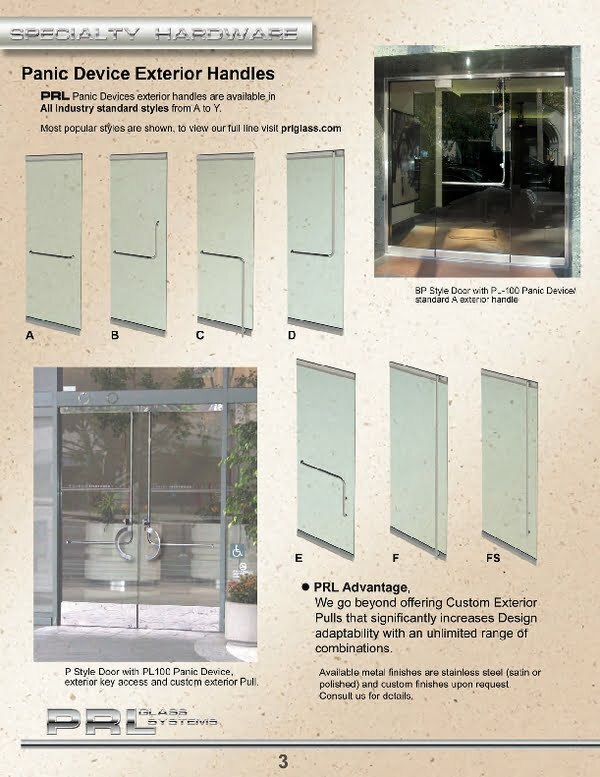 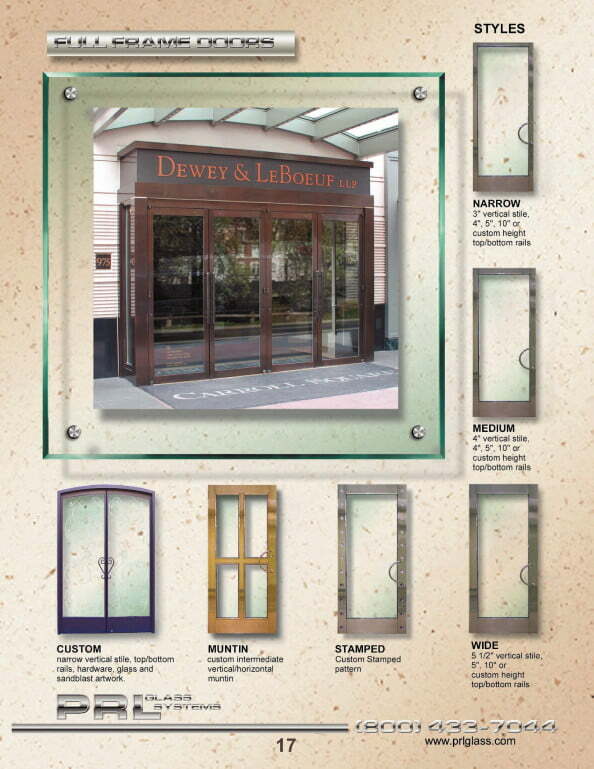 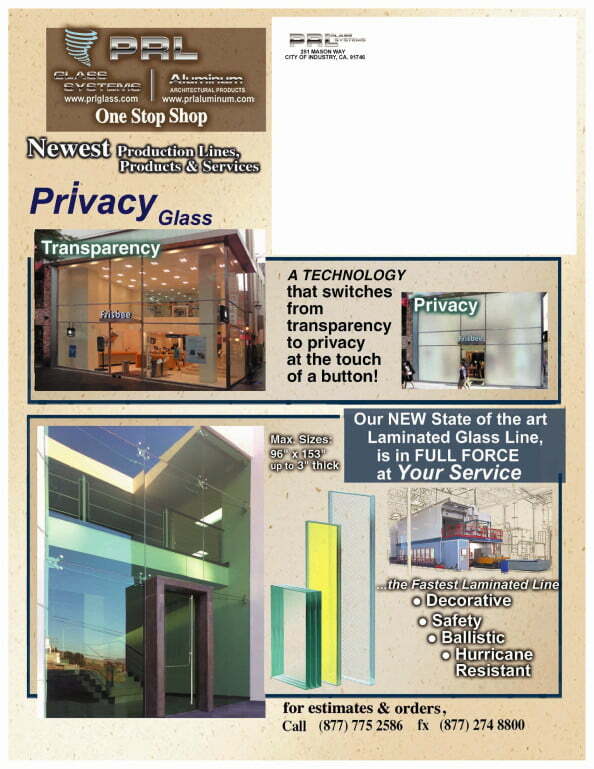 For more information please contact PRL Entrance Door Department Toll Free 800-433-7044 and our knowledgeable staff will be glad to assist you.